Mademoiselle Chambon is another bitter-sweet and elegantly orchestrated chamber drama from Stéphane Brizé, the French writer-director of Not Here to be Loved, which plays like a Gallic variation of Brief Encounter. Jean (Vincent Lindon) is a builder in a provincial town, leading a seemingly contented existence with his factory worker wife, Anne Marie (Aure Atika), and their young son, Jeremy. 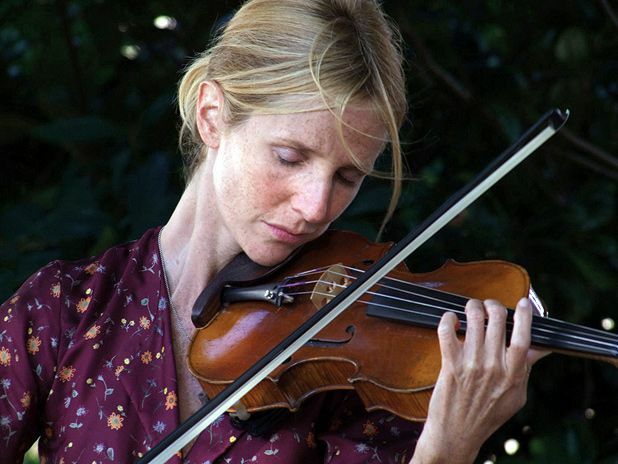 A chance meeting with his child’s primary-school teacher, Véronique Chambon (Sandrine Kiberlain), formerly a professional violinist from a wealthy Parisian background, triggers some unexpected longings in Jean. This isn’t a melodramatic tale of amour fou in the manner of last year’s Leaving, but an understated study of two adults who are struggling to express the depth of their intimate feelings and who are scared by the upheavals that their mutual romantic attraction might provoke. Favouring long takes and medium shots, Brizé concentrates on his characters’ looks, gestures and silences, keeping dialogue to a minimum. Musical pieces such as Elgar’s ‘Salut d’Amour’ and Franz von Vecsey’s ‘Valse Triste’ express the yearnings of his hesitant protagonists, whilst the performances of Lindon and Kiberlain – themselves once a real-life couple – are movingly restrained. GFT, Glasgow from Fri 23–Thu 29 Sep.